The counterfeit of electronic materials is nothing new in the industry. There are numerous sources of these fraudulent practices and they come in various forms. However, the most important aspect is the cost that these forged coatings have on users. It is known and well documented that in today’s electronics industry there are some PCB board components that may come from manufacturer scraps, re-labeled unused parts, and removed components from used circuit boards. It has been reported that most these electronic components are integrated circuits. Conformal coatings are not immune to these attacks. It can be challenging to tell the difference between an original and counterfeit coating. 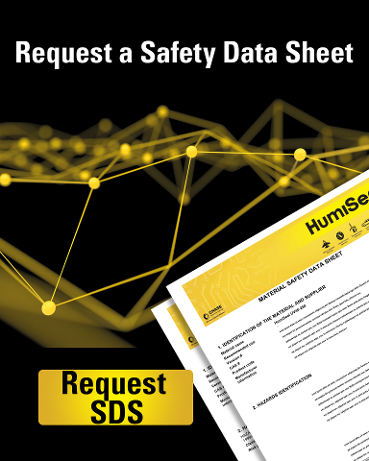 These dubious products, often go undetected until defects start occurring during the inspection stage or even worse, when failures occur in the field. The cost associated with the rework, detection and field repair of conformal coatings are not reported, unlike other counterfeited assembly components, posing serious problems to safety components. 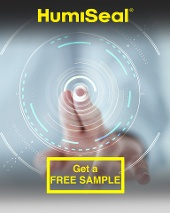 HumiSeal is vigilant to protect the integrity of the materials it supplies to the marketplace. We make a conscious effort to educate our customers and channel partners to reduce the effects of counterfeiting. During the last years, we have implemented a series of measures which can help us detect fraudulent products. 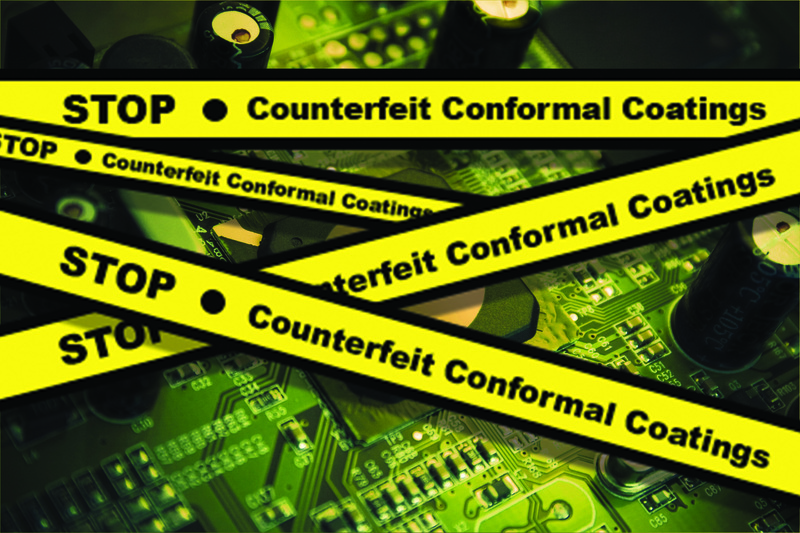 The best way to prevent acquiring counterfeit conformal coatings is to ensure that you either purchase them directly from HumiSeal or from one of our authorized channel partners that can be found on our website. The cost of counterfeit conformal coatings puts a burden on the electronics industry. It goes unaccounted as it is difficult to determine the unreported amount of rework and field failures that occur each year. The appeal to sell a conformal coating imitation to turn profit increases as the use of protection for circuit boards grows. HumiSeal will continue to monitor the marketplace for counterfeit materials and report our findings on our website. As an applicator, designer, specifier, and OEM of conformal coatings, you should always be aware of such products and make sure that your warehouse personnel and operators understand the basics to identify counterfeit conformal coatings. If you find that your coating is suspicious, please call immediately to one of our offices where we will be happy to assist you in determining the authenticity, and if required, direct you to an authorized source.